Lovely healthy Chihuahua puppies born Tues 30th July 2013, both parents have a wonderful temperament, as Chico and Evie (the proud parents) are our pets you can meet them too. Complimentary pack of luxury fluffy dog blanket, puppy milk and puppy food included. 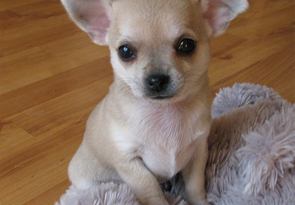 Sometimes Chihuahuas get abandoned. And sometimes they get rescued by organisations dedicated to rescuing these tiny little bundles of love.